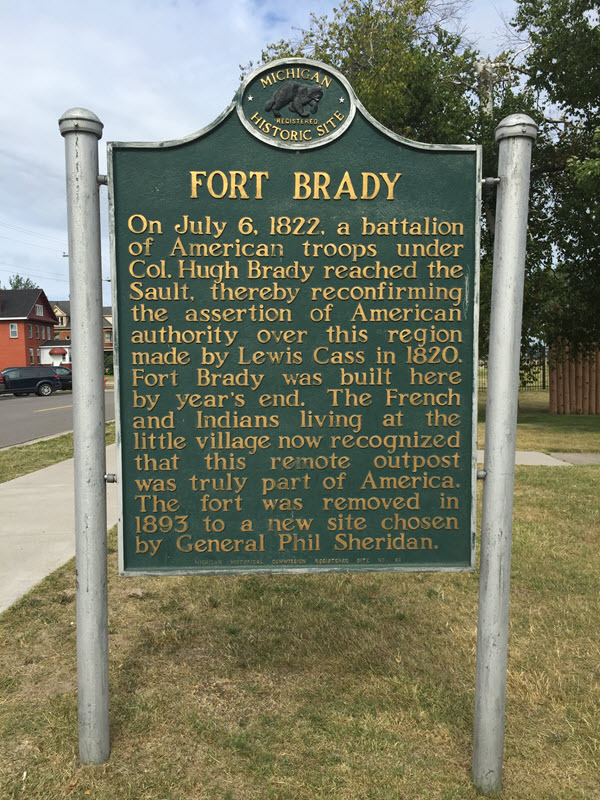 On July 6, 1822, a battalion of American troops under Colonel Hugh Brady reached the Sault, thereby reconfirming the assertion of American authority over this region made by Lewis Cass in 1820. Fort Brady was built here by year’s end. The French and Indians living at the little village now recognized that this remote outpost was truly part of America. The fort was removed in 1893 to a new site chosen by General Phil Sheridan.